Looking for Lennon is an investigative feature documentary into the complex life, character and influences of one of the twentieth century’s biggest idols – John Lennon. Who was the man behind the legend? Genius, working class hero, rebel, martyr! 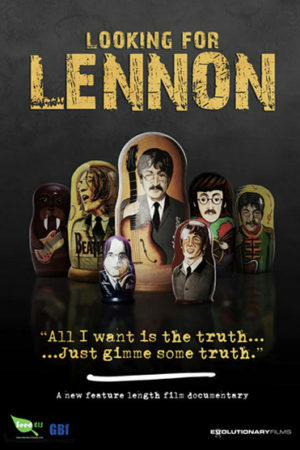 With all the plot twists and turns of a thriller, “LOOKING FOR LENNON” debunks many of the myths surrounding his life. What emerges is a complex, multi-faceted character, outwardly tough and outspoken, witty and generous, but inwardly tortured by insecurities, indecision, multiple addictions and a tragic childhood he was never able to shake off. A mass of contradictions and all of them true. And yet despite all this – or maybe because of it – his inspired creativity helped change the face of modern society and modern music forever.